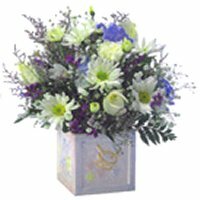 That Flower Shop on Vedder is a premier, full-service florist proudly serving the Chilliwack, British Columbia area for 26 years. Wedding Flowers ~ See our Wedding Flowers page for photo gallery and more information. All Occasion Gifts ~ Find the perfect gift for any occasion at That Flower Shop on Vedder! Browse our assortment of dish gardens and green and blooming plants for a gift that adds life to any room or office. We are stocked with a variety of unique items, including homemade chocolates, sugarfree chocolates, baby novelty baskets, decorative silk arrangements, potpourri, naturally-preserved rose petals, collection of eye-catching containers, candles and much more! Let us help you find the most thoughtful way to tell her, "I'm Sorry..." with lots of gifts and flowers that will hopefully rescue you from the doghouse!! That Flower Shop on Vedder is open to serve your floral and gift giving needs: Monday through Friday 9:00 am to 6:00 pm and Saturday 9:00 am to 5:00 pm. 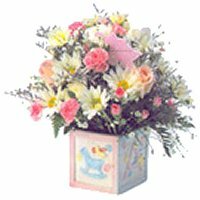 For your convenience, we deliver to all local funeral homes and hospitals.